PM Narendra Modi's mandate for gas outreach is expected to boost earnings of smaller mills, according to Indianivesh Securities Ltd. The country is seeking to double the share of natural gas in the country's energy mix to 15% by 2030. 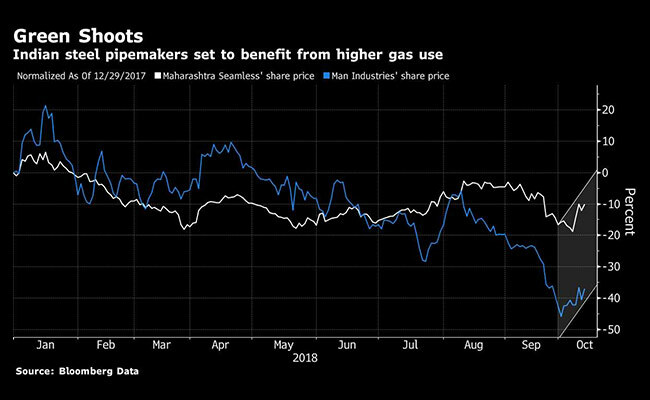 Steel pipe makers are set to become beneficiaries of government's $10 billion push to expand the natural gas network to more of its urban masses and cut pollution. The country has just completed its biggest city gas distribution auction that would extend coverage to more than half of the 1.3 billion people across a third of the area. This project aims to see 10 million homes linked to gas grids by 2020 and bring relief to smog filled cities. "There will be a lot of requirement for steel pipelines coming in from next year," said E.S. Ranganathan, managing director of Indraprastha Gas Ltd., which supplies gas for homes and transport in New Delhi and its suburbs. This will require about 12,500 kilometers of pipes within the next three to four years, he said. The country is seeking to double the share of natural gas in the country's energy mix to 15 per cent by 2030, while slashing emissions by a third. The country, which the World Bank said in 2016 was home to 14 of the 30 most polluted cities on the planet, is building gas pipelines and new import facilities to increase use of the fuel. "The gas economy and pipeline industry move in tandem," according to Dinesh Kumar Sarraf, chairman of the state-run Petroleum & Natural Gas Regulatory Board. "The deeper we push gas use, the greater will be the need for pipelines." Low penetration of pipes and government measures such as the setting up of the National Gas Grid and revamping the water and sanitation infrastructure, provides a domestic business opportunity of more than Rs 30,000 crore ($4 billion), Jindal Saw Ltd. said in its annual report in August. Prime Minister Narendra Modi's mandate for gas outreach is expected to boost earnings of the smaller mills such as Maharashtra Seamless Ltd., Ratnamani Metals & Tubes Ltd., Jindal Saw, and Man Industries India Ltd., according to Indianivesh Securities Ltd.
"We are bullish on the pipe makers as there is a significant demand pickup as well as improvement in the overall tender activity by the government-run oil and gas companies that will significantly contribute to the growth," Saurabh Kapadia, a senior analyst at Indianvesh, said by phone from Mumbai. "With the higher oil price, we expect a spurt in exploration and production investments and thereby higher demand for seamless pipes." These companies face little competition from imports after the government levied an anti-dumping duty on supplies from China last year, Kapadia said. 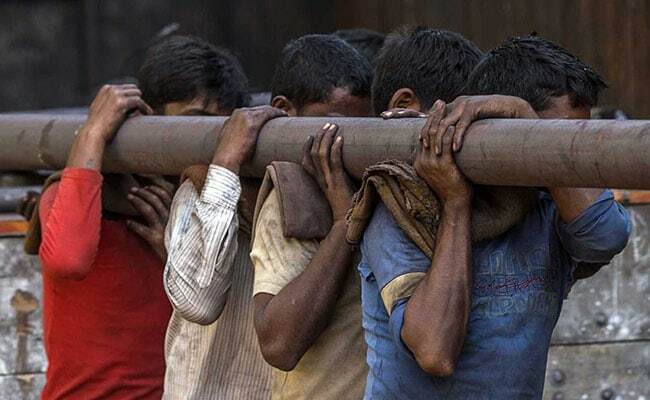 Among pipe makers, Maharashtra Seamless is his preferred pick. Maharashtra Seamless expects its revenues to rise at least 20 per cent annually over the next two years and has more than doubled its spending this fiscal year, Chief Financial Officer Ashok Soni said in June. He expected increased demand mainly due to boost in capex by oil and gas firms on India's push for energy self-sufficiency. "Globally economies are shifting from oil to gas, and natural gas distribution companies have revived their investment plans, which include construction of new pipelines as well as replacement of aging pipelines," Ramesh Chandra Mansukhani, chairman of Man Industries, said in an interview.